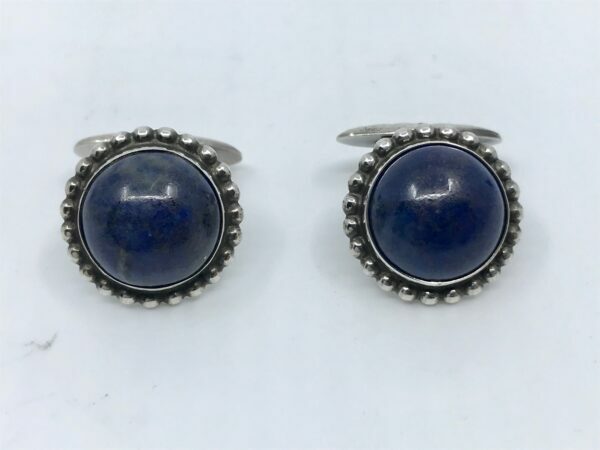 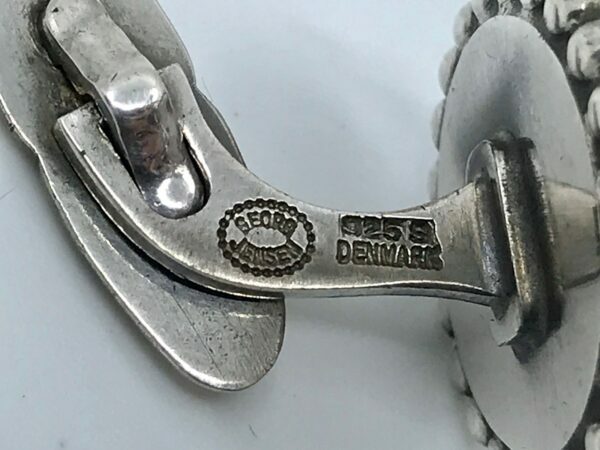 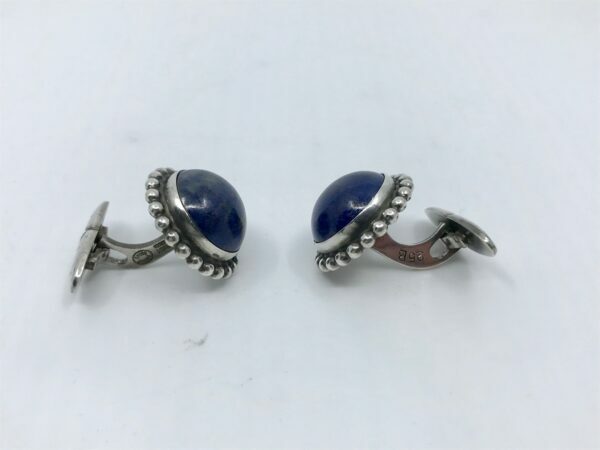 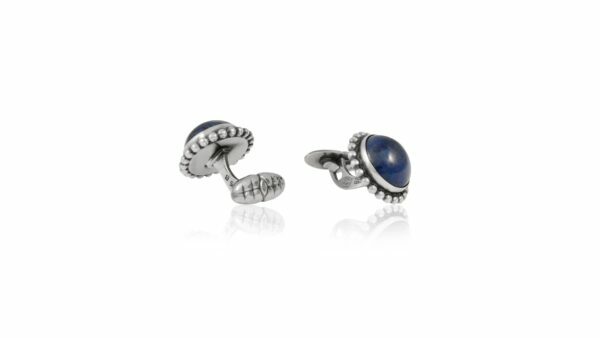 This is a pair of sterling silver Georg Jensen cufflinks with cabochon set sodalite stones in a beaded frame, design #25B by Georg Jensen from circa 1912. 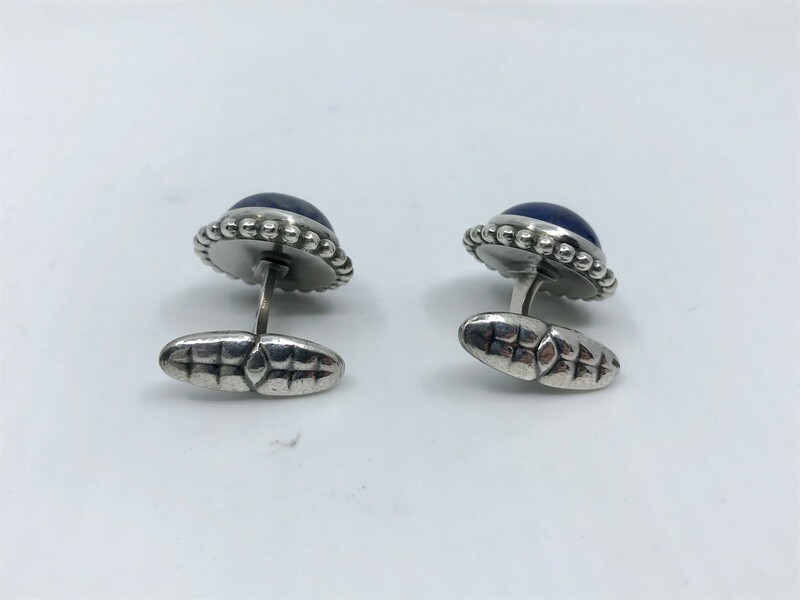 Note the extra decoration on the backs of these cufflinks. 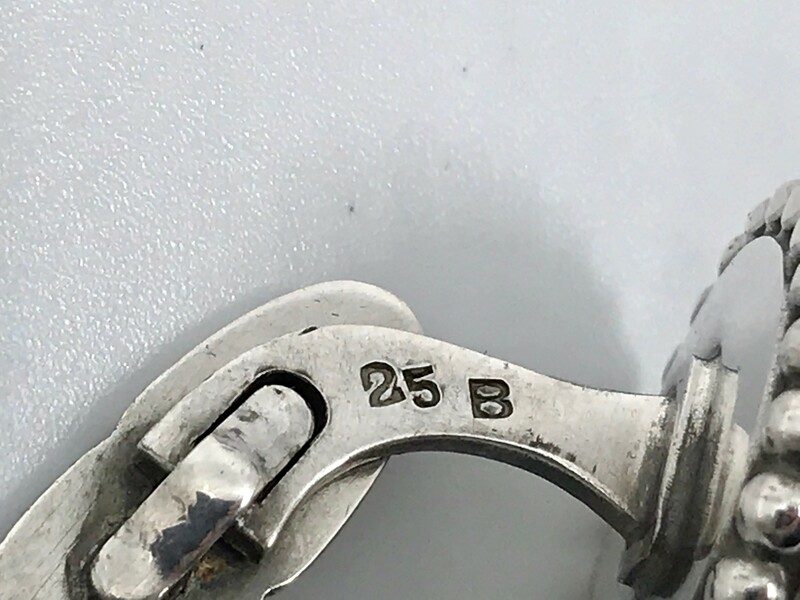 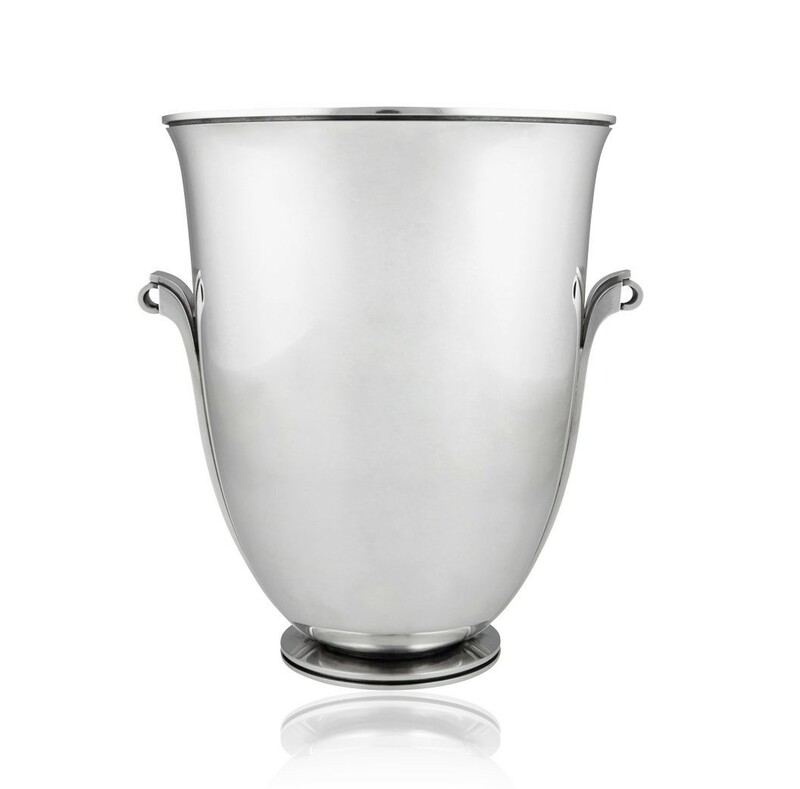 Measure 3/4″ (2cm) in diameter.